Marlo Incorporated Separate Bed Deionizers – MSB Series – Messplay Machinery Co. 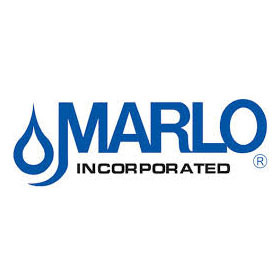 The Marlo ‘MSB’ Series Automatic Separate-Bed Deionizer (DI) systems are engineered to economically produce high purity water through the removal of total dissolved solids (TDS). 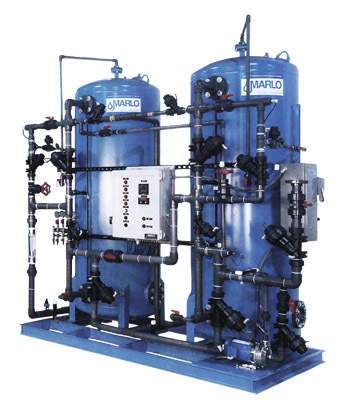 Each MSB system is constructed using robust, industrial-grade components and materials for reliable operation and exceptional performance. Sch 80 PVC face-piping assemblies with thermo-plastic, normally-open, “Y” pattern diaphragm control valves. Vessels with service piping 4″ and larger utilize Sch 80 PVC face-piping and double-acting butterfly control valves. All control valves are air-operated requiring a 80-100 psig of clean, plant air supply.